Yet another victim of political correctness, and that is a lieutenant in the Roanoke, VA police department. A lieutenant with the Roanoke Police Department is on unpaid administrative leave for a comment made to his personal Facebook account Thursday. 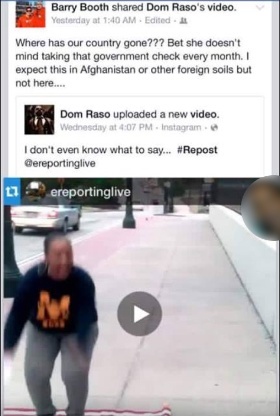 Community organizer Sharrieff Perdue says she sent this image of the post to Roanoke police. 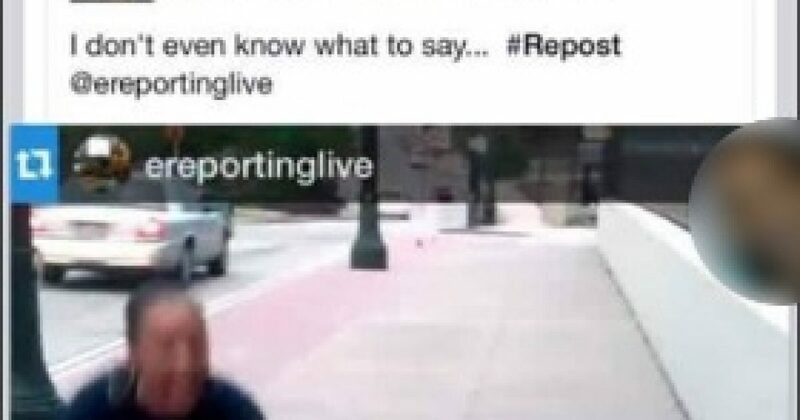 The video Booth commented on shows a woman jumping on the American flag, and a personal comment about the woman disrespecting the country he’s sworn to protect and serve. What’s disparaging and insensitive is the fact that this a-hole doesn’t have enough sense to protect his people from stupid racist community organizers. This is the type of sheriff who would let the lynch mob get to the prisoner inside the jail, take him out and hang him. Roanoke police say Booth’s comment does not reflect the department’s views. He has been employed by the City of Roanoke since 1991. Note that a “community organizer” (actually agitator) got this to happen. We have NO organized effort to thwart these community terrorists, so my team will do all we can to help. I have already contacted the Roanoke Police Department, and left a message for Chief Chris Perkins. I informed him that Conservatives will ban together to get rid of him, given he is more interested in protecting those who HATE America, versus those willing to put their lives on the line to PROTECT her. To contact Chief Chris Perkins, call the Roanoke PD at (540) 853-2211. Let’s make sure he knows that Conservatives are more powerful than any community organizer.